My Illustration Friday entry:FLAVOR. 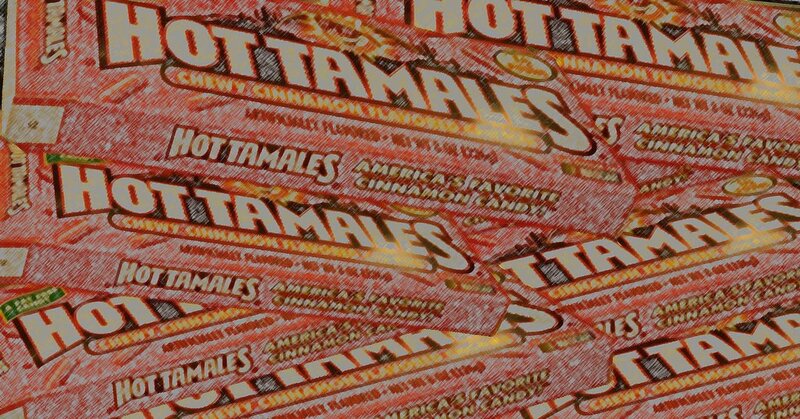 My big weakness, Hot Tamales! Quite possibly one of the best candies ever made (right behind Mike & Ikes). This was an easy subject to come up with as my wife Susan keeps a large jar full of Hot Tamales on the computer desk as well as a backup bag in the hutch. this is a very good candy and a fun illo! i also love the song! Yes! I love both those too! And they're vegan! I agree. 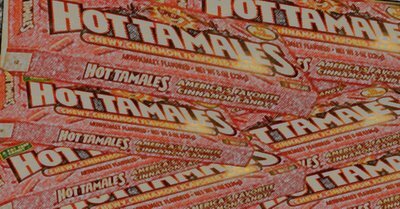 I love those little spicy treats. Hard to pass them up really! Well done. Cheers! I have a sudden hunger pang for some candy! Good illustration!